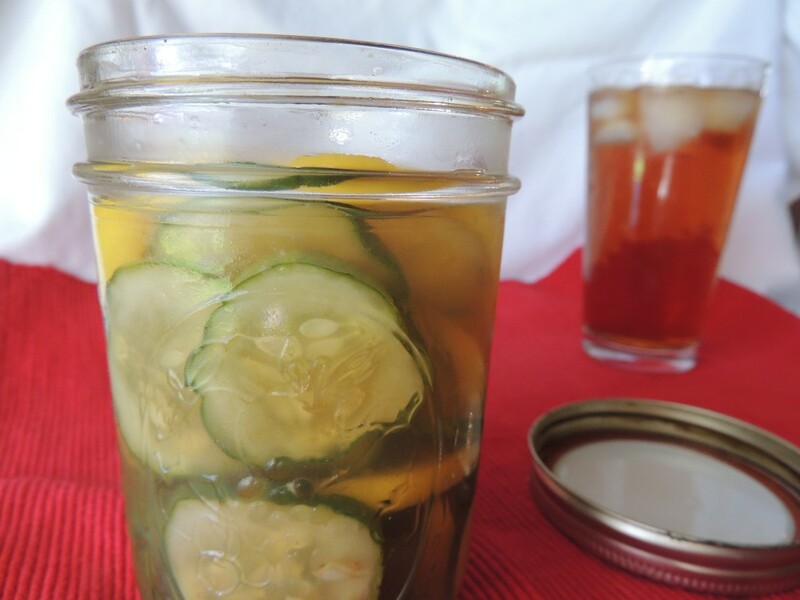 This sweet pickle recipe made with freshly brewed sweet tea will bless the heart of any pickle lover. Sweet and refreshing! Today marks part deux as part of the Recipe Redux crew! This month’s theme is Cooking with Tea. Now when I sat down to check in on what this month’s prompt would be, I had just come back from my ‘retail therapy’ sesh from Market Basket like any 20-something gal would be racking up her credit cards with. I had just landed my hands on some clearance rack cukes that I was planning for a future recipe when my Southern Belle brain blessed her heart in with a new plan, Stan. 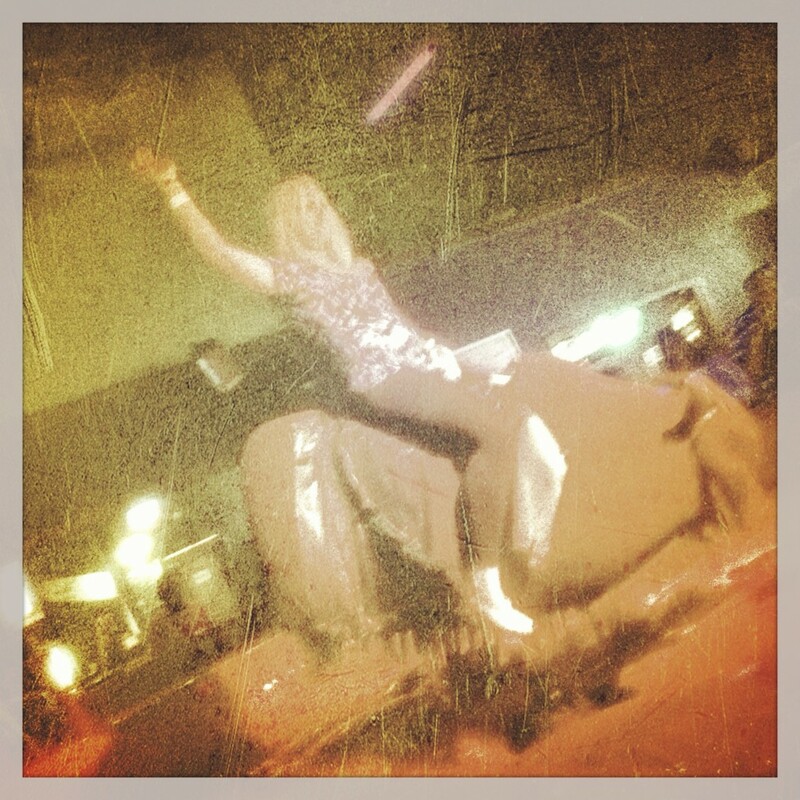 …Or maybe even that time I didn’t go to Church on Sunday. But darn tootin’ you should be happy my brain operates this way. Now you can have your Pimento Cheese sandwich and Sweet Tea all in one bite! They’re sweet. They’re tangy. They’re tea…ey. And if you eat the entire jar in one sitting, I can guarantee you’ll be sitting in a rocking chair on a big ol’ porch for the rest of the night. 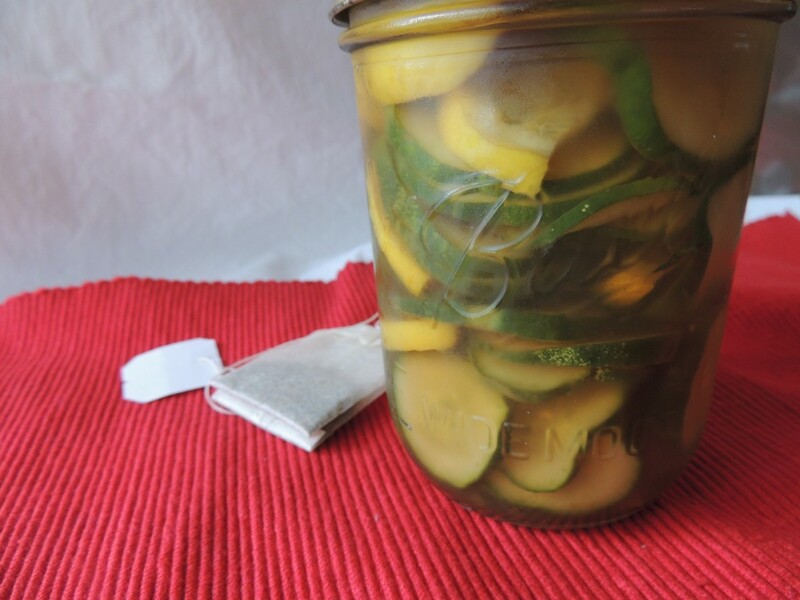 And the world is okay again..
Slice cucumbers and lemons (if using) and add to 16 oz glass jar, or container with lid. Bring 1/2 cup water to a boil in a small saucepan. Pour water over tea bags in a heat-safe bowl and steep for 5 minutes. Combine remaining water, vinegar, and sugar in saucepan and bring to a boil. Remove from heat. Discard tea bags and add tea to vinegar mixture. Pour over cucumbers and cool to room temperature on counter. Cover and refrigerate at least 2 days and up to 2 months. Now unlike a gallon of milk or leftover french fries, these darlin’s get better with age. My jar has been aging for 2 weeks, a rare breed indeed. 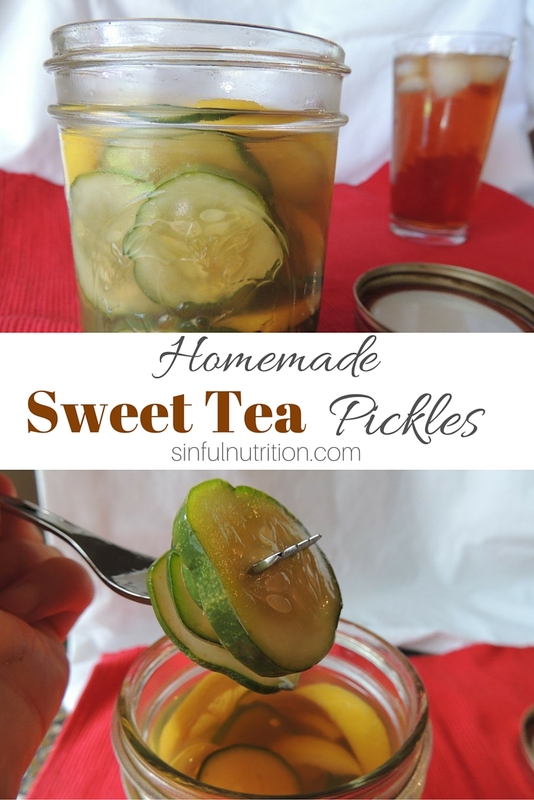 And hey, after all the pickles are gone, you can wash it all down with that aged Sweet Tea! I’m sure it has to be medicinal for something in Texas. Just be sure to give it a good swirl and pinky out. 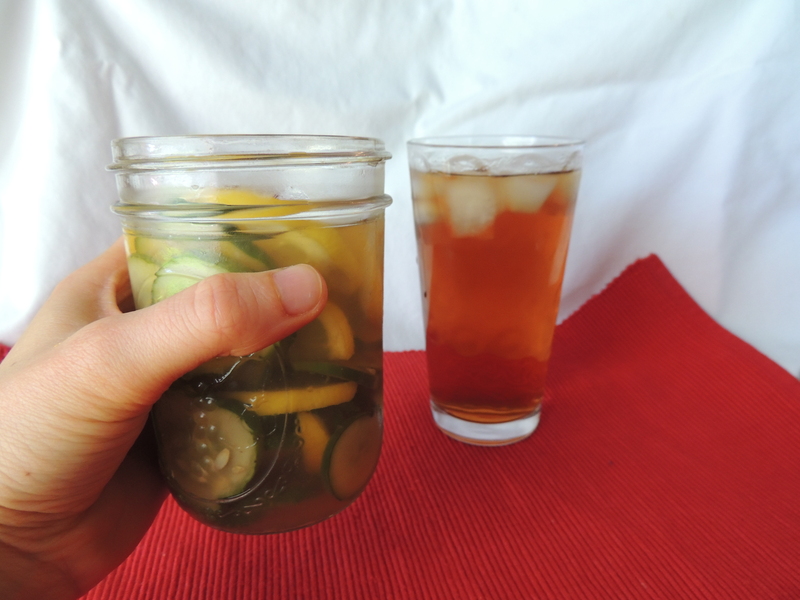 You are drinking from a Mason jar after all. 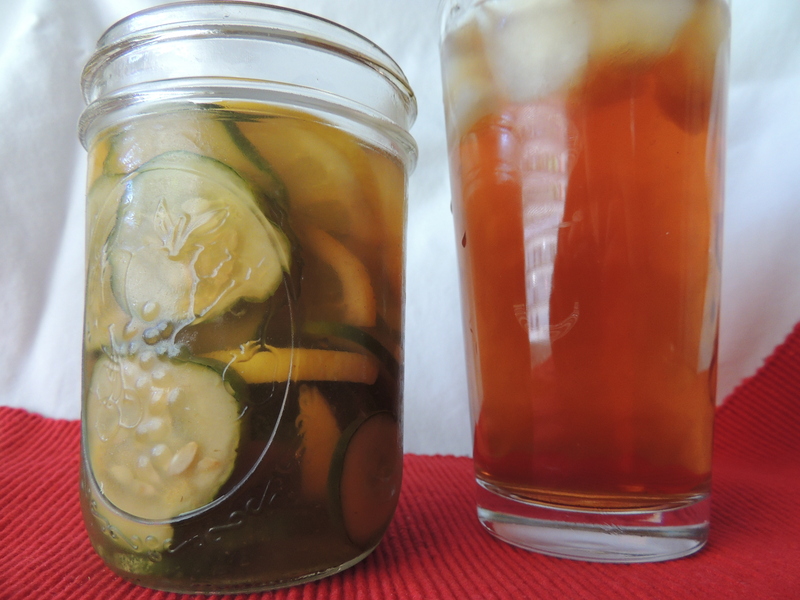 Now come check out the tea lovin’ recipes from all the other recipe reduxers! Bread and Butter or Dill Pickles? Did you ever drink pickle juice? woahhhhh that’s such a great idea! This sounds like a fascinating flavor combination. I’ll definitely have to give it a try. Thanks so much for sharing such a creative recipe! 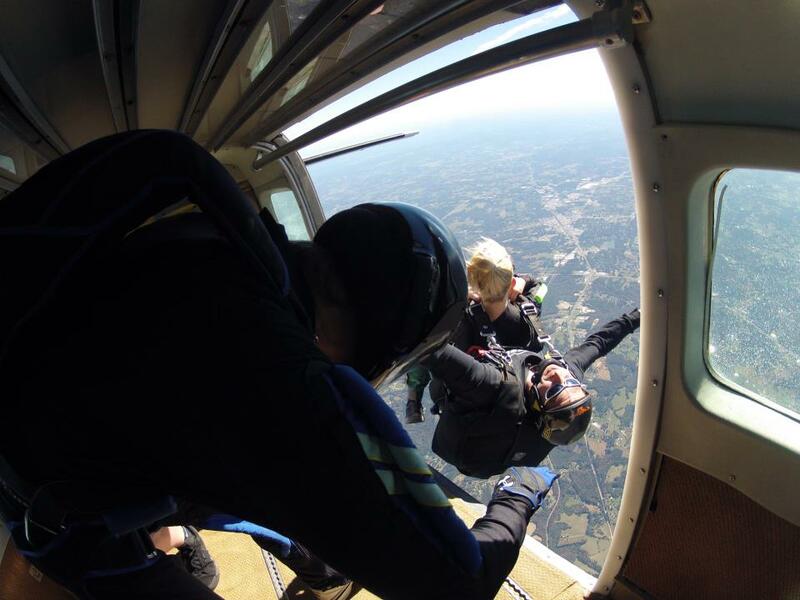 GAH – you should kiss your brain! 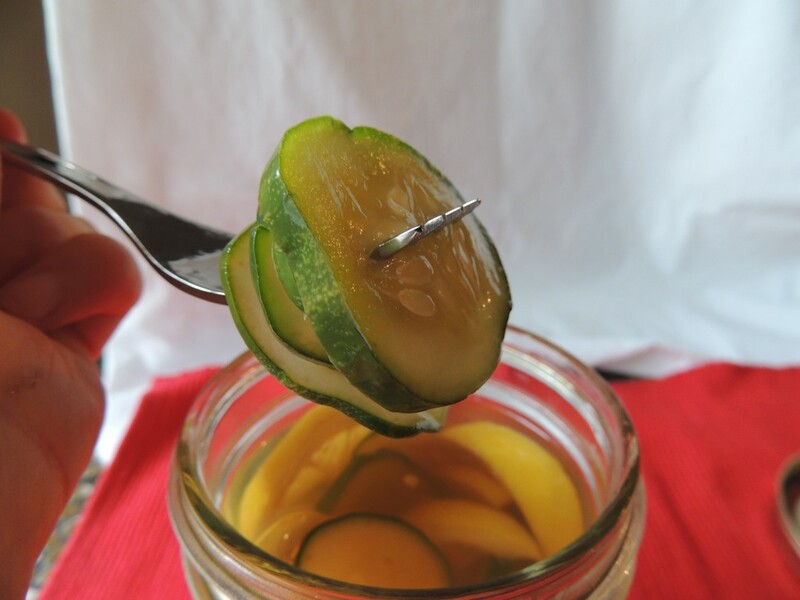 These tea pickles are just plain brilliant! 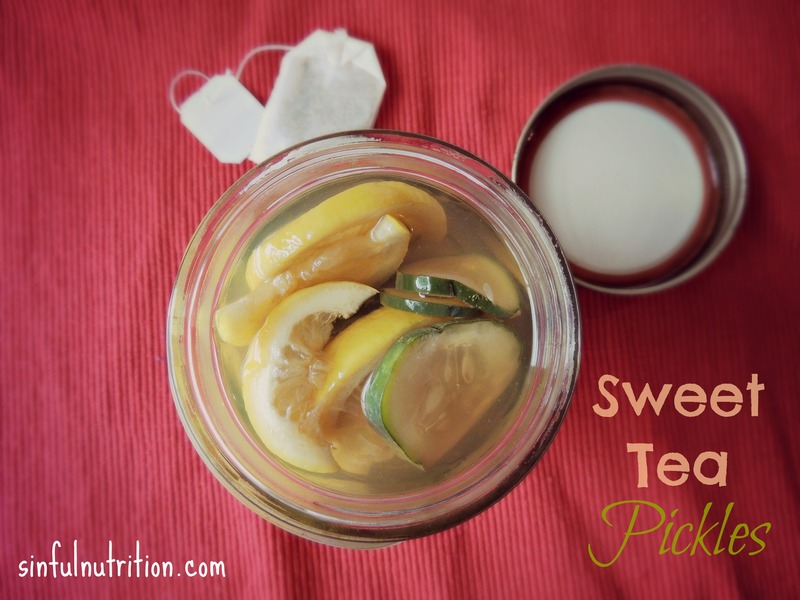 Lemon and sweet tea – isn’t that like an Arnold Palmer or something?? I thought an Arnold Palmer was half lemonade and half iced tea. Which is delicious I might add! Hi I am an intern with Meal Makeover Moms and I helped make their Tea party Pavlovas! This recipe is very unique and sound very yummy!